The newest Midwestern deli is dishing out matzah ball soup with a side of forraging. Many restaurants say they are inspired to impress certain food traditions or techniques on their customers. For Cleveland’s Larder Delicatessen & Bakery, this is more than just talk. Larder serves mouthwatering Eastern European/Jewish classics and wants to teach their customers and community members how to make these dishes for themselves as well. Larder is owned by husband and wife team Jeremy Umansky and Allie La Valle-Umansky — who have been together since culinary school — and their business partner Kenny Scott. Several years ago, the three bonded over shared gastronomic values and started talking about opening a delicatessen together. Being veterans of the culinary world, they decided to test their idea on the road before opening a brick and mortar. After showcasing successful pop-ups of their style of cuisine in several cities across the country, and even in Alaska, the team learned that Larder had what it takes to be more than just a great idea. In 2018 Larder Delicatessen & Bakery was opened. Describing their style as Eastern European, rather than solely Jewish, Larder positioned themselves toward inclusivity from the get-go. Identifying as an Eastern European deli allows Larder to serve Ashkenazi standards (like Bubbie Umansky’s matzah balls) without confining Larder to strictly Jewish foods or kashrut. In fact, Jeremy Umansky makes a delightful — if, non-halachic — argument claiming that the pork served at Larder is more kosher than most “kosher meat.” The pigs Larder serves are raised free to roam beautiful pastures, have all the healthy food they can eat, and live happy lives topped off with a painless slaughter; aside from a few curly tailed details, that actually sounds pretty kosher. Larder is a place where people can expand their minds along with their stomachs. 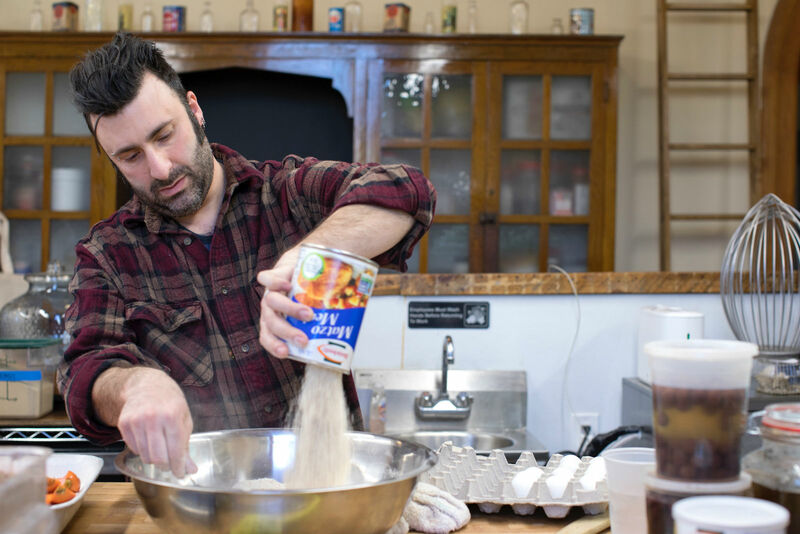 Umansky says that he and the rest of the team sees themselves as “stewards of food traditions gone by.” They offer a wide range of classes on things like mushroom foraging, fermentation, and koji. Koji is a filamentous fungus (AKA mold) ubiquitous in Japanese cuisine used to makes things like miso and soy sauce. In recent years, koji has made its way off the Japanese archipelago and into the kitchens of adventurous chefs worldwide who want to add umami (a flavor that is neither sweet, sour, salty, nor bitter) to their dishes. Larder uses koji a lot, including in a pastrami which may well have a savory depth beyond anything you thought possible. As far as Larder is concerned, these classes are about education, not profits. Larder wants people to learn these skills. With prices at $45 or less, classes are offered at half (and sometimes even a fourth) the market’s standard cost. Not surprisingly, they sell out fast. Nu, what about the menu?! Larder’s menu uniquely focuses on locally sourced ingredients. 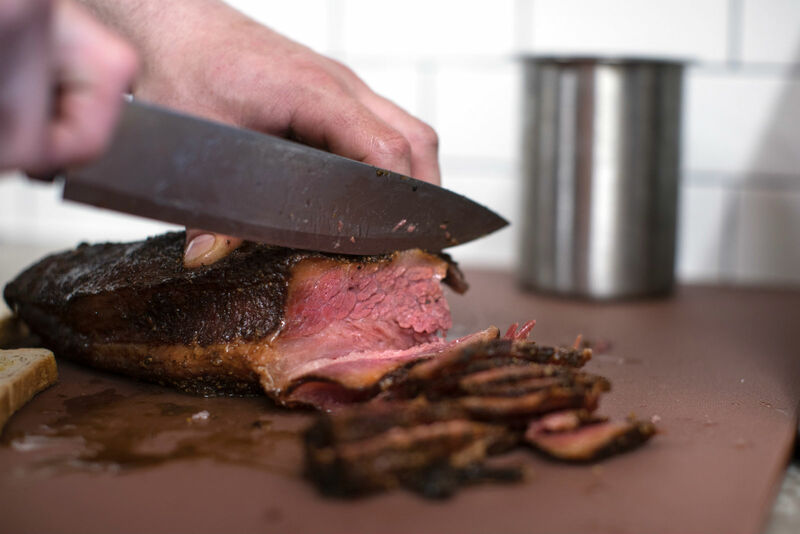 Larder serves meat from Ohio farms to make a beautiful pastrami sandwich on homemade rye bread and their Daily Würst — chef’s choice of homemade sausage. 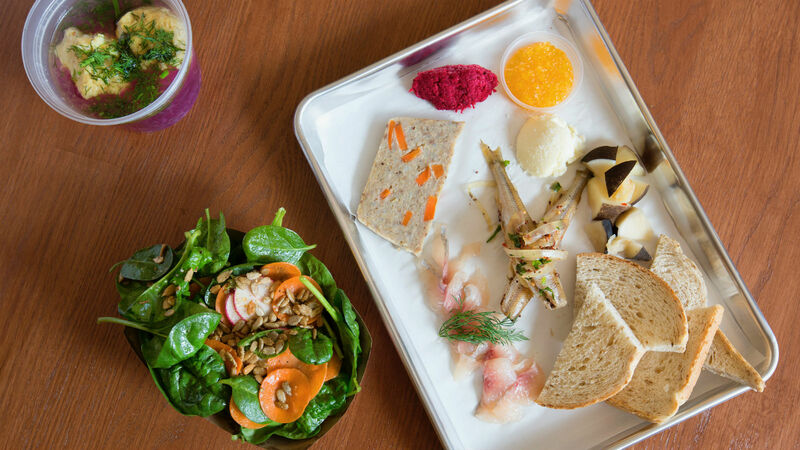 Larder also serves an array of fish caught by fishermen and women who cast their nets daily across the Great Lakes to make their lox, whitefish salad, and Czech-style gefilte fish. They also offer unique charcuterie boards which feature an eclectic mix of meats, pickles, salads, cheese, and bread. Don’t forget, Larder’s full name is Larder Delicatessen & Bakery and Larder is baking their own rugelach, black and white cookies, and chocolate babka. Located in the Ohio City Firehouse in Cleveland’s Hingetown neighborhood, Larder Delicatessen & Bakery is truly a treat. Stop by, have a nosh, and learn a thing or two. The trendiest bagel trend is coming out of Japan. The best pastrami, matzah balls, bagels and blintzes all across the country.